On Saturday, the frozen waters of Lake Bemidji will come alive as the home to one of Minnesota sports television’s great modern traditions: Hockey Day Minnesota. 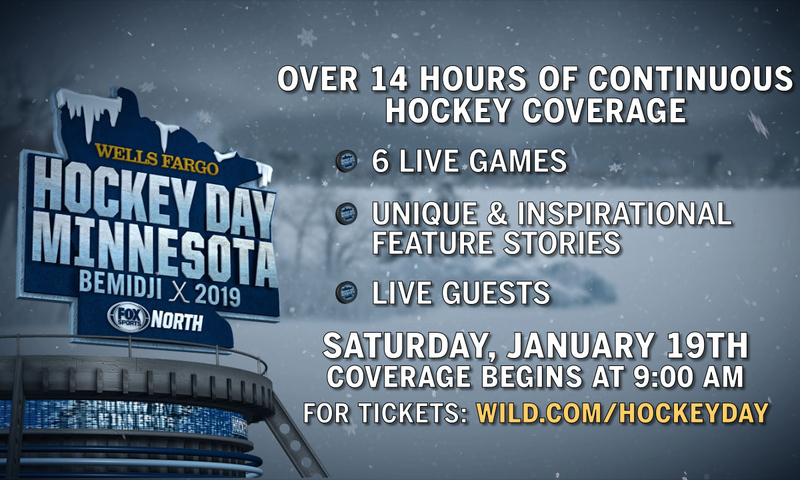 In its 13th year, HDM is, perhaps, the biggest day on the Fox Sports North calendar, with the regional sports network slated for more than 14 straight hours of live coverage showcasing the state’s favorite game at all levels. NOTE: SVG will be live onsite for Hockey Day Minnesota on Saturday. Follow us on Twitter @sportsvideo and @SVG_Brandon for real-time looks at the production and check back to sportsvideo.org for full reports. Of the six games that the network will carry, three will be hosted from an outdoor rink on the south shore of Lake Bemidji. There, Fox Sports North has erected a bonafide road show, including a traditional hockey camera complement and an anchor desk. The tech highlights include an RF-camera operator on skates, RefCam (a Vicareo solution that mounts a camera to the front of the helmet of one of the officials), and a drone camera. NHL Network is also getting involved in the action, “lending” on-air host Jamie Hersch. Hosting from the Hockey Day desk in Bemidji, she returns to the network where she started her career. With temperatures forecast to be well below zero in Bemidji (which is approximately 220 miles from Fox Sports North’s home office in Minneapolis), the weather threatens to be a major obstacle for production and operations crews onsite. The coldest temperature ever for a Hockey Day Minnesota was in 2008 in Baudette Bay on the Canadian border when temps plunged to 17 degrees below zero. This Saturday could give that record a run for its money.